Are you hoping to be the next you-tube wedding sensation? TheKnot.com has entries for The Knot Dream Wedding, the first-ever live streamed wedding on TheKnot.com, Facebook, Google+, The Knot YouTube channel, MSN Living and other media platforms straight from iconic Citi Pond at Bryant Park in New York City on February 14, 2013. Starting NOW, brides across America can enter at TheKnot.com/dreamwedding for a chance to win a wedding with every single element provided. From the gown to the groom’s cake, the biggest social network of brides on the planet, their moms, friends and anyone who likes a good wedding will choose each element of the lucky couple’s big day! For more information on The Knot Dream Wedding and official rules and regulations, visit TheKnot.com/dreamwedding. What a year it’s been!? I’ve had some great highs…and then some lows, so low that I wanted to run to a far corner of the world (with my phone and iPad of course) and disappear for a while. Of course that didn’t happen because I can’t afford such a luxury. For the most part, it has been a great year. I’ve most recently tweeted 71 shows for NYFW (that means designers are coming to me now for coverage – such an honor); 30 shows for Bridal Market (while I’m still hoping to one day be invited to Oscar my dream!! ); Visited 4 continents and have created a very successful Wine Wednesday (Thank you readers who seem to love it!!) and in the process have only caught one cold (which I presently have). 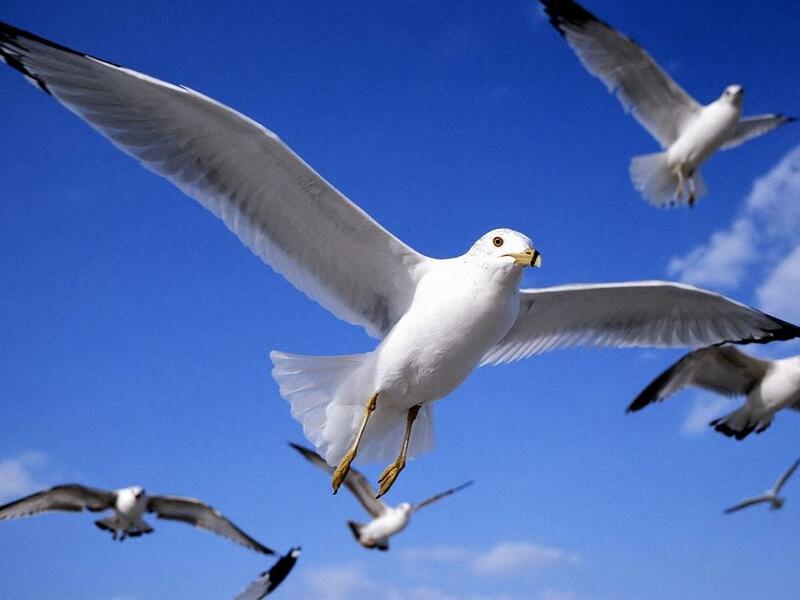 As for clients – I’ve seen some take my advice as their publicist and FLY…and in some cases literally. 😦 I’ve also been so blessed to get a few new ones that I’m super excited to begin projects with in the coming weeks. I took a walk out of my comfort zone and attended some conferences so that I could share with those of you who are thinking of joining this wonderfully crazy world of “Bridal” and tell you the real deal. Is $10,000 for a weekend or one day more informative and the best value? I’ve seen some of the best in the industry be blindsided with layoffs, mergers and changes that they couldn’t have possibly expected. On that level it’s been sad. I’ve also seen the shift of power begin…and while I don’t know exactly what 2012 will hold, there will be another shift and this time…a BIG ONE. Stay tuned to see if I’m right…especially around Q2-Q3. I want your wedding to be the best day of your life…but remember it’s only one day. What happens after the presents are all opened is what real marriage is. However it is better to be married 72 hours and not 72 months and be miserable. 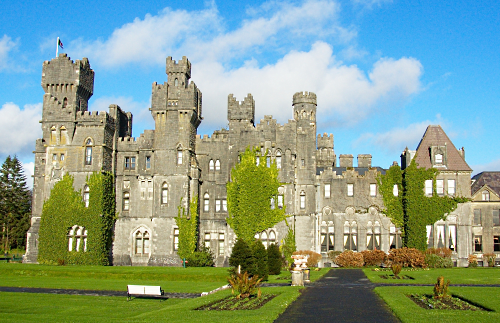 I want you to remember that even if your prince (or princess) doesn’t live in a castle, you can and should have a marriage with someone who holds your hand, knows how to make you laugh and will be with you through it all. Remember “Through sickness and in health” can mean serious illness and not just the flu. I want you to rest assured, that each vendor I’ve written about over the last almost 3 years have been seen, tasted, tried, visited or in some aspect been reviewed by me or my team. I’m not going to tell you to try XYZ vendor without having seen their work or tasted their food or tried their ”face-what ever’ without knowing what it really does. I won’t ever tell you to do/use something without doing it myself first. I’m sure that’s why some vendors don’t understand why it takes a while to do a write-up. My word to you is what you’ve grown to trust and it’s the one thing I’m always going to guard. There is NO AMOUNT OF MONEY that will rush me. Sorry – I don’t roll like that. Most of all I want 2012 to be a great year for you. If you were that person who dreamed of a fairy-tail dream wedding, then that’s what I wish for you. If you want to run off to a destination and have it be just you and your partner, then may it be a sun-filled day and rum-filled night. In either case I hope some of the vendors I’ve written about over the last year can help you. But hey if you have a question – shoot me an email. Or leave a comment here. Honestly, I read them all. If you dare to dream of building your business, especially the wedding industry, then listen to someone who can mentor you in the industry. But choose that person wisely. Not everyone who seems to “know it all – does”. Know that it takes time for editorial; a ‘press mention’ is not a Public Relations plan and you can have it all come at once or it may take months. You can’t rush it, nor assign blame if it doesn’t happen as quickly as you wish it would. Just stick to it…slow and steady will always win the race. 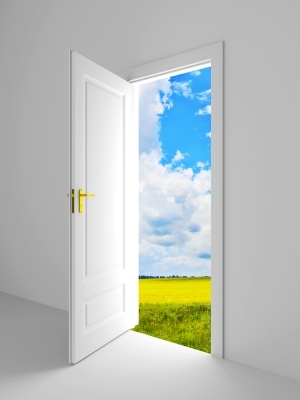 Ok, so as I push 2011 out the door, I look forward to opening a window so fresh air and new opportunities can come it. Thank you so very, very much for being a part of Yours In Bridal. A special thanks to all of you who follow me on twitter @bridalease and those who have “liked” our FB page. I can’t wait to share what’s next for us and hear what’s next for you. 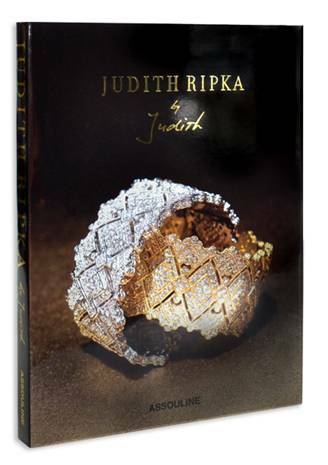 In commemoration of Assouline’s new stunning tome, Judith Ripka by Judith, Assouline, in partnership with Judith Ripka, is giving away a pair of Eclipse earrings ($625 value) and a signed edition of the new book. Talk about bring the SUNSHINE IN!! 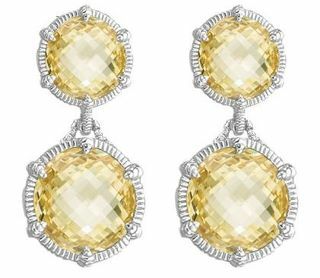 I absolutely love these dazzling Eclipse earrings and I know they would be the perfect proposal gift…birthday gift…it’s Friday and I love you gift. Time is moving fast so enter NOW and it ends this Friday, October 7th. It will live on Assouline’s Facebook Page (http://www.facebook.com/assoulinepub) and Judith Ripka’s Facebook Page (http://www.facebook.com/JudithRipka) and all contestants are encouraged to ‘Like’ both pages to be qualified. You have to answer, “How do these earrings show your personal style?” and submit your answers to judithripka@assouline.com. The winner will be judged on creativity and originality and notified the week of October 9th by email. OH…if you win, please let me know (and can I share them with you??). Do you know DesignerChatter.com? This is a company that is really spreading the holiday cheer. Just for you lovely bride-to-be, DesignerChatter.com knows that you are fashionable already and during this time of planning is no exception. 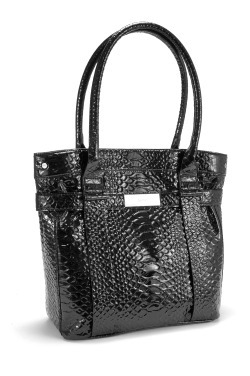 They have graciously offered a Python Shopper Bags from Calvin Klein (retailed for $118) for me to giveaway to you. Did I hear you say “WOW”? I know, this is the perfect bag to carry all your bridal magazines, your notebook and/or iPad as you fashionable find the dress, venue and everything else of your dreams. You have the perfect guy, how about the perfect bag? I am giving this bag away on Christmas Day….that’s right, a special gift from DesignerChatter.com and yours truly. 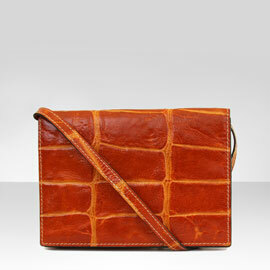 Do you want to start the New Year with this beautiful Calvin Klein bag, send your entry to: lisa [@] yoursinbridal.com. It’s really simple. This particular contest is only for US residents. BridalTweet (www.BridalTweet.com) is a free online wedding community where brides, wedding vendors, and wedding bloggers can create meaningful relationships. At BridalTweet.com, brides can find free wedding advice, exclusive offers, giveaways, local events, and more. Each bride that joins BridalTweet.com will also gain access to the wedding community’s ongoing benefits such as free wedding advice, exclusive offers, giveaways, information about local events, a local vendor directory, and more. All BridalTweet.com members, including brides, wedding vendors, and wedding bloggers, can also share tips and information via chats, blogs, discussions, groups, photos, and videos. Every bride, regardless of her budget deserves to have access to the very best in bridal accessories, so why not rent them? We have a LODIS Winner!!! I want to thank all of you for entering the Lodis $250 drawing. I’m happy to announce the winner….drum-roll….Eunice Green. I’ll be sending you your gift certificate shortly.